Splashblade Products Ltd provide new innovative products one being a bathroom shower curtain accessory called Splashblade that stops the water escaping from the gap in the curtain. At Behrens Home Textiles we are proud of our history, having been a family owned business since 1834. The care and thought we place in developing and producing our product range has earned us a deserved reputation for high quality bed-linen, towels, duvets, pillows & home accessories. We understand the importance of designing and manufacturing the correct products to suit the needs of the ever changing demands of the end consumer. We believe the success we have had to date is based upon our product quality and integrity, our values and heritage. There is nothing like the thought of looking forward to fresh, clean bedding after a long day, or to wrap yourself in a fluffy, cosy towel after a refreshing bath or shower. 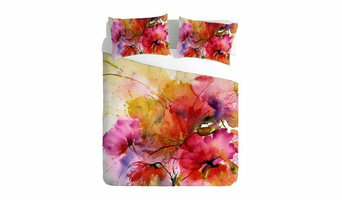 Sheets, duvet covers & pillow cases....you are in the right place for all things bed linen. Designs including Jacquard's, Yarn Dyes, Prints, Embroideries and Brushed Cotton, amongst others. in terms of product quality, thread count is used to describe the number of threads woven in a square inch and as a guide, the higher the thread count, the finer and more superior the fabric quality. The majority of our products are made using 100% natural cotton, which produces a soft, durable and breathable fabric. We design and manufacture an interesting and varied collection of towels to suit a wide range of market levels and requirements. From basic 400gsm (grams per square metre) plain dyes to luxurious 800gsm towels with intricate borders, as well as colour woven stripes and checks. Colour and texture drive our inspiration. Marquis & Dawe are a family business who are passionate about home interiors. Our collection of exemplary homeware is styled and designed into an array of must have home accessories, from bedspreads, duvet covers and wool throws to lighting, picture frames and more home necessities. Our creative passion for sourcing and developing new products and designs underpins our ability to satisfy the demand and desires for new and predicted trends to suit a variety of quality homes and lifestyles. Our online store is, open 24 hours every day, so you can shop with us at your own convenience where ever you are. With a friendly and understanding customer team, a discussion of products before purchase is more than welcomed; our offices are open Monday to Friday 9:00am-5:00pm. You are welcome to leave a voice message or email us outside of these hours and we will respond as soon as we are back in the office. We specialise in extra long and unusual sized beds, bedding, and linen. Almost any size is possible no matter how big, small, short or long. Please take a look through our web site and remember if you can’t see the size you need, it doesn’t mean it’s not possible, help and advice is just a phone call away. We promote 7’3” as our ‘standard’ longer length to give you a little more room to stretch out. Iif you are taller than average or would just like a bit more space to stretch out we offer an 8ft width in most of our beds. To go along with our beds we offer our extra long duvets and bespoke linens, we can make sure there will be no more cold feet at the end of your new bed. You can buy online or over the phone, we are here from 9am to 5pm Monday to Friday to guide you though the many different options and customisations that are possible. And while we focus on extra long and big beds any bed size is possible so if it’s time to turn that box room into an extra bedroom contact us with your sizes and we can make a smaller bed just to fit. As a retailer we work very closely with a number of manufacturers across the UK to provide our customers with the greatest possible choice of unique products that can still be further customised and truly tailored just for you. All our bases and mattresses are handmade in the UK and we offer 5 year warranty on workmanship, mechanism and materials on all matteresses and bases. If you have any questions about our beds or need help choosing the right mattress feel free to contact us and we will do our best to help. Linens trader is a certified authentic company that assures their customers get the best quality and contemporary designed products that fits their required needs. A highly recommended fast, friendly and efficient service has added extra credit to the company name. They make sure that a customer’s order reaches the customer as soon as possible. Their overall mission is to meet people who require household textiles and provide them with a service they will never forget. Here at Linens trader they believe that they are a company of excellence and great pride with a vision of becoming the most recognized and popular towel and home textile suppliers in the country, by offering the best blend of quality and efficiency in every aspect. For the future they are planning to expand become the number one supplier of household textile products by the acceptance, satisfaction and popularity from the customers. Manchester based Kings Bathrooms Ltd provides cost effective and environmentally friendly bathroom products direct from the manufacturer. We have a wide range of shower enclosures, bathroom mirrors (infinity bathroom mirrors), bathroom suites, bathroom cabinets, bathroom furniture, shower trays, bathroom accessories, shower screens, bathroom basins, bathroom taps, baths and showers. We are passionate about making your home beautiful and reflecting your style in your space. We understand what makes a home tick, and the very essence of design. Our team has over 40 years of experience in global textiles and brands and we use this to bring you the very finest linens for your bedroom, bathroom, living room, dining room or kitchen. Planning a bedroom makeover? Creating a luxurious retreat won't be complete until you fund the ideal duvet, linen and other bedding. 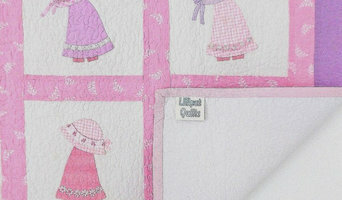 Quilt covers alone can transform a space from ho-hum to a grand boudoir. In the same way, a bathroom makeover can be as simple as new bath towels or bath accessories. A bathroom renovation in New Mills could see you sourcing a new bathtub or bathroom taps. Here are some related professionals and vendors to complement the work of bedding & bath: Home Stylists and Property Staging, Kitchen & Bathroom Designers, Interior Designers & Decorators, Furniture & Accessories. A good place to start is re-vamping your storage. In a bathroom, where storage is often in short supply, a supplier who has a wide variety of brands and ideas can save your days of searching. So start by perusing the reviews and ratings of bedding and bath manufacturers and retailers in your New Mills, Derbyshire, UK area.